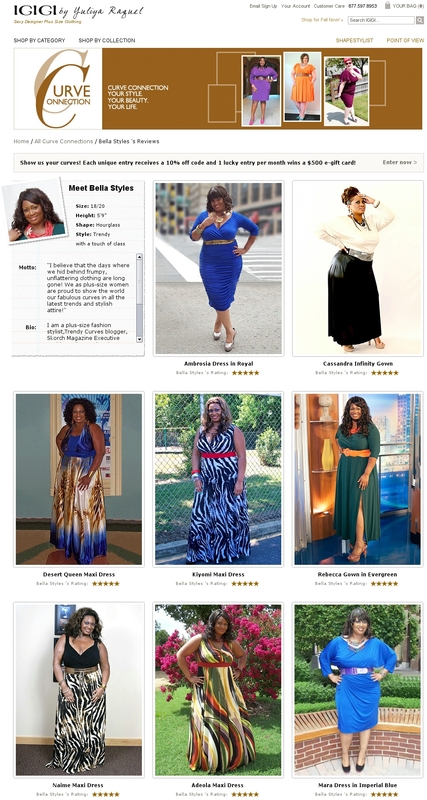 Award-winning, American plus-size designer brand IGIGI by Yuliya Raquel, http://www.igigi.com, has launched Curve Connection™; a community of fans showing off their favorite IGIGI designs and showcasing them for other real beauties worldwide. Each participant has her own page where her size, shape, bio, and her motto as a curvy beauty are laid out along with her pictures and her experience with the design. IGIGI by Yuliya Raquel started this new feature to show the designs on real women in addition to professional models so that customers can better decide for themselves. “I am so thrilled about this project. Our mission is to transform the world’s view of beauty by providing full-figured women with spectacular designs that are made well with an impeccable fit, so they look and feel great and reflect that beauty onto the world causing a transformation in how people think of plus-size. What better way to do that than by having our customers as our models? 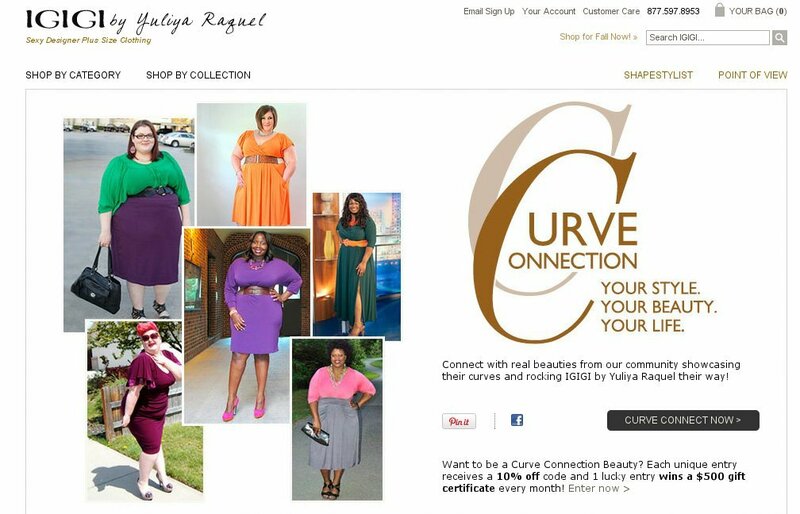 I am so looking forward to seeing Curve Connection™ evolve into a thriving community of women sharing their experiences with fashion and IGIGI,” said Yuliya Raquel, Founder, Head Designer, and Creative Director. Curvy beauties wanting to share how they rock IGIGI by Yuliya in their own unique style can submit their form at www.igigi.com/cms/cclanding. Each unique entry receives a 10%off coupon and one lucky lady wins a $500 gift certificate each month. “I am so excited for IGIGI by Yuliya Raquel’s new Curve Connection™. It will showcase myself and other lovely curvy bloggers and fans wearing some of our favorite pieces from the line. I am an avid fan of the brand and their clothing represents exquisiteness and class,” said Bella Styles, Trendy Curves blogger, Skorch Magazine Executive Fashion Editor, and Lucky Magazine Contributor.